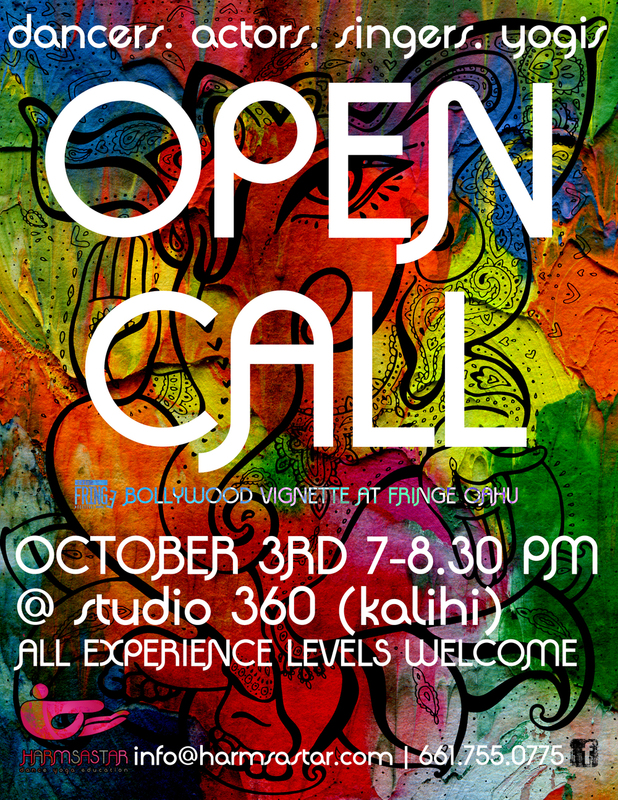 Come be part of "Bollywood Vignette" a fantastical deliverance of story, expression, individualism, and passion through a dance, yoga, and musical lens. An abstract portrayal of the deity Ganesha, half-man, half-elephant, creator and remover of obstacles, how he came to be, and the deep-rooted thought behind his significance. See this unique story come to life, vignette style, through experimental contemporary-yoga, contemporary dance, jazz, hip-hop, musical theatre, and more. With a personally composed/mixed score consisting of a plethora or music genres, this show is sure to leave its audience piqued. A show for All People, All Ages. No expectations, just live, inspired performance. Call instructions: You don't need to provide your own music or movement. Choreography will be taught at the audition and then participants will perform in groups. A warm-up and some technique will also given.